There are generally four categories of cookies: “Strictly Necessary,” “Performance,” “Functionality,” and “Targeting.” 2iiS routinely uses all four categories of cookies on the Service. You can find out more about each cookie category below. Targeting Cookies: 2iiS Marketiing, our advertising partners or other third party partners may use these types of cookies to deliver advertising that is relevant to your interests. These cookies can remember that your device has visited a site or service, and may also be able to track your device’s browsing activity on other sites or services other than 2iiS Marketiing. This information may be shared with organizations outside 2iiS Marketiing, such as advertisers and/or advertising networks to deliver the advertising, and to help measure the effectiveness of an advertising campaign, or other business partners for the purpose of providing aggregate Service usage statistics and aggregate Service testing. First and third party cookies: First-party cookies are cookies that belong to 2iiS Marketiing, third-party cookies are cookies that another party places on your device through our Service. Third-party cookies may be placed on your device by someone providing a service for 2iiS Marketiing, for example to help us understand how our service is being used. Third-party cookies may also be placed on your device by our business partners so that they can use them to advertise products and services to you elsewhere on the Internet. If you want to delete cookies follow the instructions at http://www.wikihow.com/Clear-Your-Browser%27s-Cookies. If you wish to disable your browser from receiving cookies follow the instructions at http://www.wikihow.com/Disable-Cookies. Note that if you set your browser to disable cookies, you may not be able to access certain parts of our Service and other parts of our Service may not work properly. You can find out more information and cookie settings at third-party information sites, such as www.allaboutcookies.org. 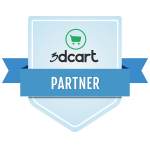 2iiS Marketiing is a 3dcart Certified Partner! Ask us how we can help with your E-Commerce Site Today! Bespoke client centric Marketing & Branding Design Services in the British Columbia lower mainland area, covering Surrey, White Rock, Langley, Penticton, Kelowna & Vancouver. Search Engine Optimization in Vancouver & Website Design in Surrey BC has Never Been so Easy - Contact 2iiS Today!